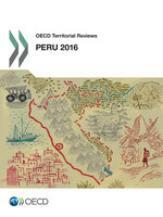 View OECD Regional Development Policy Newsletter in browser. 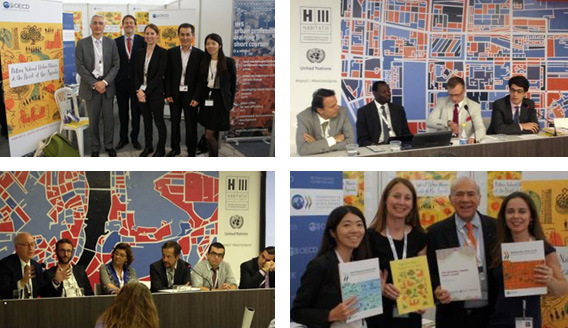 The OECD worked hand-in-hand with UN Habitat as co-lead for Policy Unit 3 on National Urban Policies for the Habitat III conference in Quito, Ecuador 17–20 October 2016. Much of our work has been focused on getting meaningful data, taking stock of urban policies in countries and untangling the complex governance challenges that cities present. 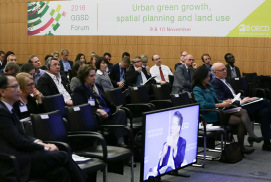 This global Summit reflected on urban development trends and how these patterns impact human development, well-being, and public governance systems worldwide. 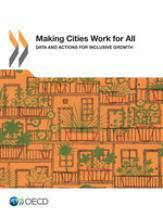 The conference concluded with adoption of the New Urban Agenda which will guide urban policies over the next 20 years. In addition to the Policy Unit 3 paper on National Urban Policies, a special report was prepared for the conference on the State of National Urban Policy in OECD Countries. The Regional Development Policy team participated in over 40 conference events on issues such as rural-urban linkages, well-being in cities, public investment and local finances, water governance and more. During the Conference, the OECD, together with UN-Habitat and Cities Alliance, launched the National Urban Policy Programme. In this context, the OECD, along with UN-Habitat, will co-host The Second International Conference on National Urban Policy at OECD Headquarters in Paris on 15-18 May 2017. It will be the first opportunity following Habitat III to evaluate, between national and city levels, to what extent progress is being made on developing and implementing National Urban Policies to support the New Urban Agenda and the SDGs. 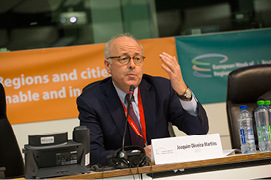 The Regional Outlook 2016 was launched at the European Week of Regions and Cities on 12 October in Brussels, Belgium. 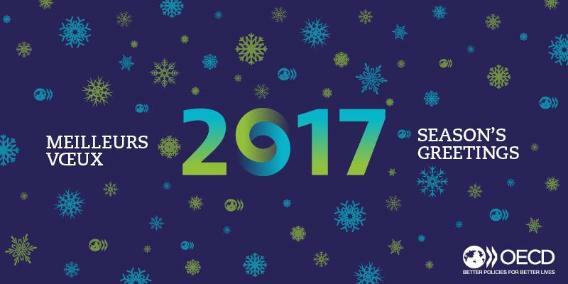 The week was organised under the theme of Regions and Cities for Sustainable and Inclusive Growth. The report finds that the productivity gap between top performing regions and others in OECD countries has widened by almost 60% in two decades, and that rising regional inequality in recent years has been mirrored by growing disparities across cities and income inequality among people in most countries. The Secretariat visited OECD accession country, Colombia, in October 2016 where the report Making the Most of Public Investment in Colombia was launched at the 5th World Congress of the UCLG held in Bogotá. Also launched at the event were Subnational Governments Around the World, a study jointly conducted by the OECD and UCLG which compiles data on 101 countries worldwide, and Making Cities Work for All, a report which calls on governments to rethink urban strategies to give everyone a chance for a better life in cities. See more information on the reports under recent releases below. The OECD hosted a high-level seminar on Delivering Productivity and Competitiveness for Rural Areas in Paris on 7 November 2016. The purpose of this event was to provide an opportunity for political and administrative leaders from across the OECD to highlight lessons and good policy practices related to the development of rural areas. The seminar, opened by OECD Deputy Secretary-General, Mari Kiviniemi, built upon the insights and lessons from the Territorial Reviews of the Northern Sparsely Populated Areas and the Mexican State of Morelos, and was also informed by the challenges and opportunities identified for rural regions in the 2016 Regional Outlook. 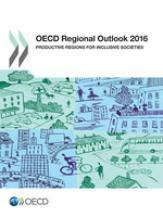 The OECD Regional Outlook 2016 examines the widening productivity gap across regions within countries, and the implications of these trends for the well-being of people living in different places. It discusses how structural policies, public investment and multi-level governance reforms can help boost productivity and address inclusion with a special focus section on productivity in low-density, rural areas. Drawing on a survey of OECD countries, the Outlook highlights country practices in regional, urban, and rural development policy that guide public investment. This report provides internationally comparable data on economic growth, inequalities and well-being at the city level in OECD countries. It provides empirical evidence on how cities are diverging from, or converging with, other parts of the country, and of the extent of inequality within cities. Finally, it proposes a framework for action, to help national and local governments reorient policies towards more inclusive growth in cities – a new approach to growth that ensures that no part of society is left behind. 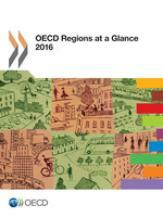 OECD Regions at a Glance shows how regions and cities contribute to national economic growth and well-being. This edition updates more than 40 region-by-region indicators to assess disparities within countries and their evolution over the past 15 years. The report covers all the OECD member countries and, where data are available, Brazil, People’s Republic of China, Colombia, India, Latvia, Lithuania, Peru, the Russian Federation and South Africa. 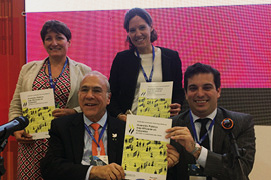 The OECD and United Cities and Local Government (UCLG) joined forces to prepare this statistical study launched in October 2016 at the 5th UCLG World Congress in Bogotá, Colombia. It is a first attempt to build a systematic data compilation on local finances on around the world, based on quantitative and qualitative data. This study presents the institutional set-up and main public finance indicators related to subnational governments in 101 federal and unitary countries worldwide. This synthesis report presents the results of case studies along with practical policy recommendations, reflecting the local contexts of Southeast Asia. While Southeast Asian cities are affected by a range of economic, infrastructure, environmental and social challenges, ongoing rapid development offers opportunities to shift towards greener growth models. 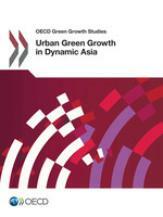 The report was launched at the OECD Green Growth and Sustainable Development Forum on 10 November 2016. This report sets out how regional policies can be improved to address challenges such as service provision and infrastructure in a country comprising varying types of regions and levels of interconnectedness. This includes ensuring the preconditions (such as revenues, capabilities and coordinating mechanisms) are in place for decentralisation to work. Lifting national productivity will largely depend on well-functioning cities. The report also includes recommendations for how Peru can develop a comprehensive approach to urban policy, including enhancing linkages with rural areas. 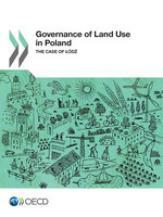 This case study of the governance of land use in Lodz illustrates many promising practices and offers guidance on how to make the governance structure and planning system more coherent and robust both in Lodz, and in Poland more generally. This is the first in a series of five case studies on the governance of land use, which will culminate in a synthesis report to be published in 2017. 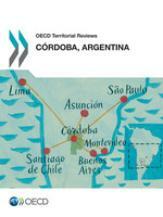 This report examines the Province of Córdoba, Argentina, and provides recommendations for the design of a regional competitiveness strategy as well as the governance structure needed to implement it. Córdoba’s challenges and opportunities are the same as those found in many OECD regions and require a renewed development strategy, one that builds on key assets and focusses on closing crucial infrastructure gaps. Making the Most of Public Investment in Colombia: Working Effectively across Levels of Government examines the multi-level governance framework for public investment in Colombia. Green Growth in Hai Phong, Viet Nam examines the green growth potential and identifies best practices for policy and governance as well as ways to strengthen current practices. Well-being in Danish Cities provides a comprehensive picture of well-being in the major Danish cities, by looking at a wide range of dimensions that shape people’s lives. Green Growth in Bandung, Indonesia explores policies, practices and governance systems to promote green growth in Bandung, Indonesia. Does It Pay to Live in Big(ger) Cities? The Role of Agglomeration Benefits, Local Amenities, and Costs of Living broaches the question whether it “pays” to live in big(ger) cities. Functional Urban Areas in Colombia applies the OECD-EU methodology to identify the functional urban areas (FUAs) in Colombia. Overview of Housing Policy Interventions in Poland assesses national public expenditure on housing in Poland, within the context of recent trends in the housing market. Income Levels And Inequality in Metropolitan Areas assesses levels and distribution of household disposable income in OECD metropolitan areas. Energy and Resilient Cities analyses the role of cities in energy policies to build resilience and assesses related energy policy practices in cities. To subscribe/unsubscribe to the newsletter please write to govrdpc@oecd.org.